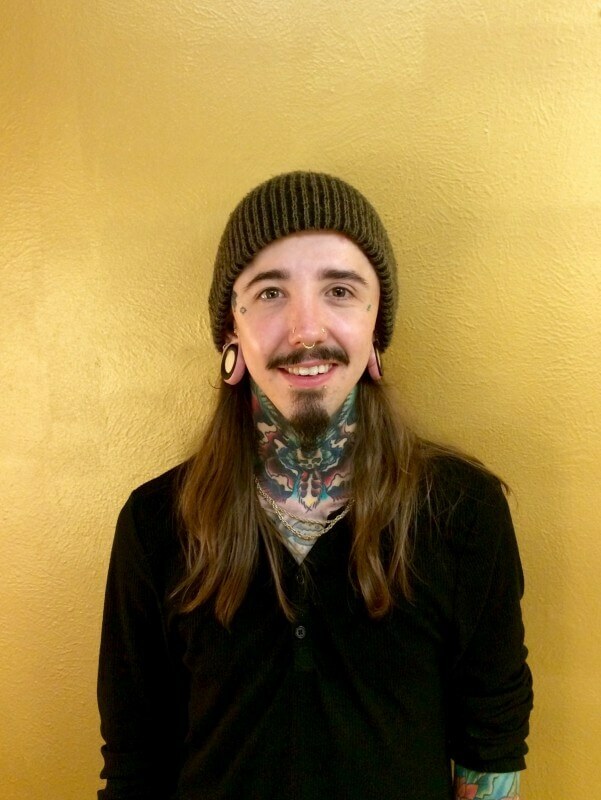 Why did you decide to become a piercer? How did you get into the industry? Did you have a background in Arts or how did it happen? I started getting tattoed and pierced when I turned 18, and kinda fell in love with it and never went back! Which is your favorite piercing? And which was the most painful one? How did you start at Mantra Tattoo and how long have you been a part of the team? I’ve actually only been here for about a month or so. Ben offered me a job recently and I came. Any hobbies you would like the readers to know about? There are a couple: ice-hockey a lot of video games. My favorite video game is Mass Effect. Which type of piercings do you guys offer at Mantra? Pretty much anything; maybe some invasive modifications that we won’t do, or things that won’t heal well or that will cause issues for the client. 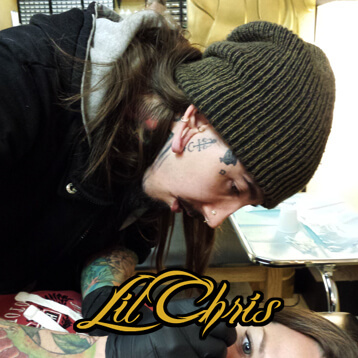 My favorite to perform are dermal anchors! Do you have a dermal anchor yourself? I’ve had several, but I don’t currently. Would you refuse to do a particular type of piercing at the shop? Not really, just some very extreme type of stuff like removal or anything. We’ll talk to the person, give them our opinion and educate them. What are the most popular piercings people get at Mantra? I’d say nostril, navels and cartilage piercing. Is pain relative from one person to anoother, or what would you say is the most painful for most people? It really does vary from person to person how the pain level is gonna be. I’d personally think cartilage can take longer to heal. Which are the easiest or less painful for someone who is starting out? For first timers lobe piercing and facial piercing are easier to care for. Cartilage is also easy to care for, it just takes longer to heal. What would you say is your most difficult or complicated piercing to perform? I’d say project piercing, where you try to get multiple pieces to match up specifically. Do you have any special recommendations that you would give people for…? Before: come with a full stomach to keep blood sugar up, don’t come in wasted, hung over, or sleep deprived. During: just relax and trust your piercer, breathing makes it easier than fighting it or worrying. After: I’d personally recommend using a saline solution, such as H2-Ocean. Using k-tips is fine, but the best thing is to get a little heat, like with a warm calm press -warm paper towel and place them around the area-. For oral piercings you can also use non-alcohol mouth wash for inside your mouth (nothing with alcohol for at least 2 weeks). All piercings should avoid touching or rotating; the piece won’t stick on your body or face. Avoid makeup and moisturizers around the area for 2 weeks to avoid irritation. 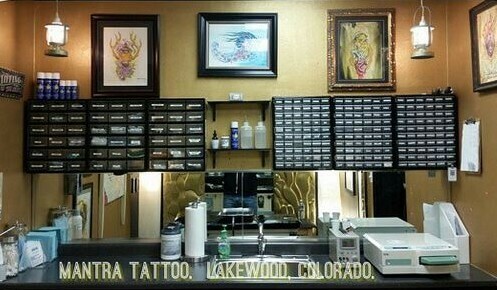 Come visit us to get your custom tattoo designed by one of our experienced tattoo artists in Denver. Or pick up a niece piece of body jewelry and get pierced by one of our professional body piercers.